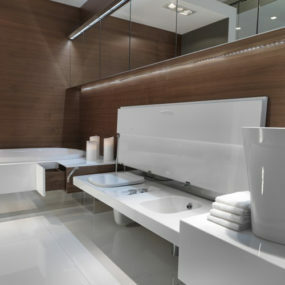 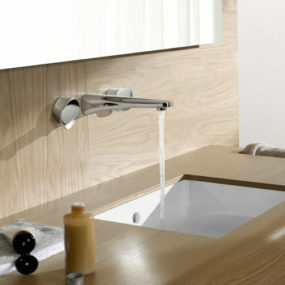 Featuring simple cantilevered forms; the wall mounted bathroom faucet by Claudio La Viola is sophisticated minimalism. 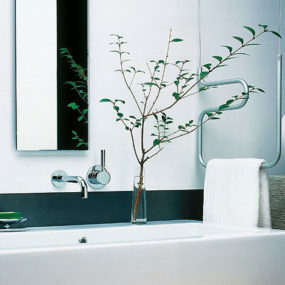 This Falper faucet’s slim rectangles project from the shining wall plate and hover over the basin. 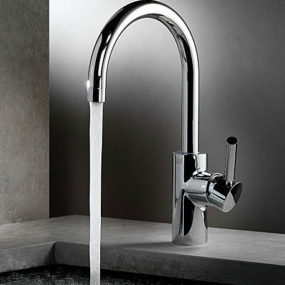 The spout stretches forward dramatically and finishes in a short cylindrical nozzle. 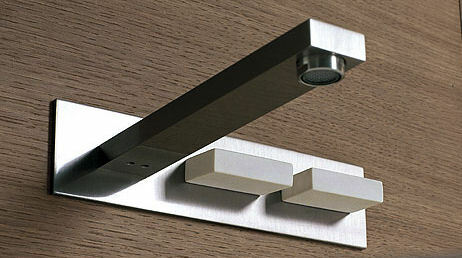 Above the white handles, the wall plate is laser-engraved with ‘Hot’ and ‘Cold’. 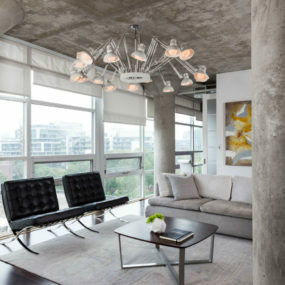 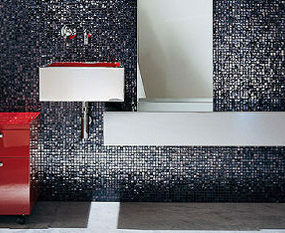 Wonderfully graphic, the engraving gives a clever elegance and adds a sensual texture. 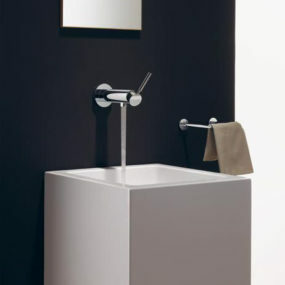 Compatible with a wide range of basins the simple block forms accent the basin’s beauty. 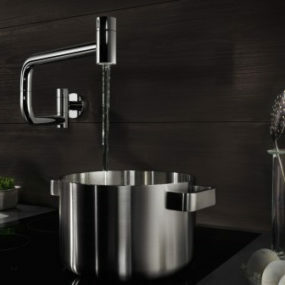 Contemporary and refined the Claudio La Viola faucet is available from Falper.